Dataset presents the original and current budget, and actual activity. Last update 5/31/2017, but plans to resume updates coming soon. Data feeds to the City Council Chamber Calendars, including the City Hall Chamber and the City Hall Annex Chamber. These calendars are maintained by the City Secretary's Office. 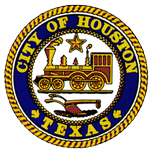 This is the City of Houston's open data portal.